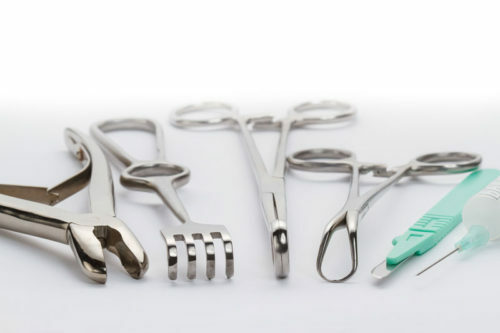 In the surgical instruments field, patent protection is critical to protecting even the most nuanced improvement over the prior instruments. Companies rely on their IP strategy to support the R&D necessary to support growth. As innovation within surgical instruments expands to other technical areas such as software, securing protection at the forefront of these developments is an invaluable step in establishing the broadest protection possible. During product design, it is important to have a good understanding of the patent landscape in order to identify whitespace for developing new products. You also want to assess and avoid infringement of existing patents. Patent searching is essential for these assessments and is the cornerstone of any well-designed surgical instrument IP strategy. Patent searching may also be used to determine whether your technology is patentable. Utility patents are commonly used in the surgical device space to protect the functional aspects of the device. Design patents are used to protect the appearance of the device, and often used to prevent knock-offs from other manufacturers. Working with a patent attorney that has experience in the medical field can help you quickly focus on the key protectable innovations in your business and the best strategies for patenting those products. Trademarks provide an important component of branding your business or line of products. The business and product names both establish the brand but also raise risks of trademark infringement. Trademark searching is an important tool to assess the infringement risk when bringing the product to market. It is also helpful when establishing a product or brand name to ensure it is distinct and not confusingly similar to other names in the space so it may be registered as a trademark itself.